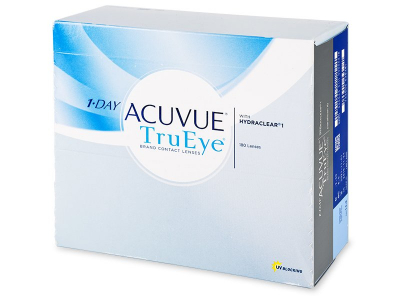 1 Day Acuvue TruEye daily disposable lenses are made of silicone hydrogel material that helps keeps the eyes naturally moist and comfortable all day. This package contains 180 lenses. 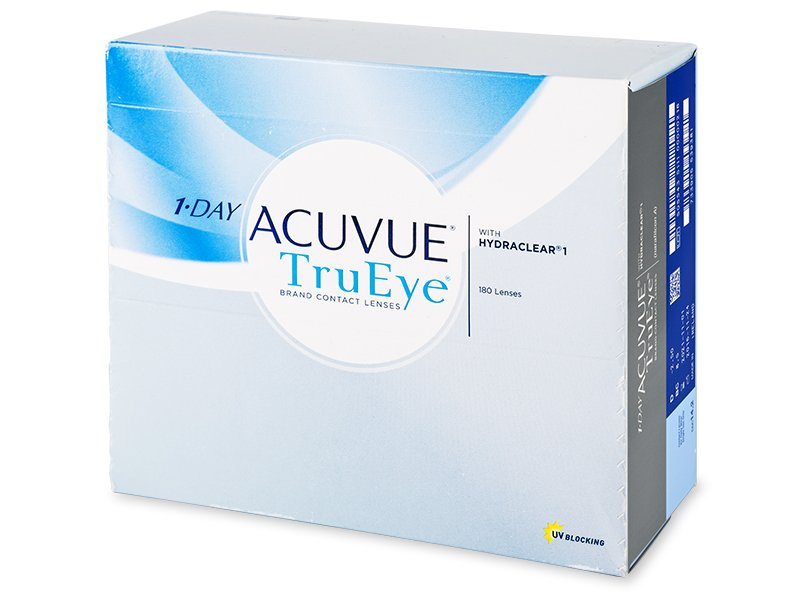 1 Day Acuvue TruEye are produced by Johnson & Johnson and are the world’s first daily disposable lenses made of silicone hydrogel. The contact lenses are equipped with the patented HYDRACLEAR moisturising technology, UV filters, and a helpful inside-out indicator. 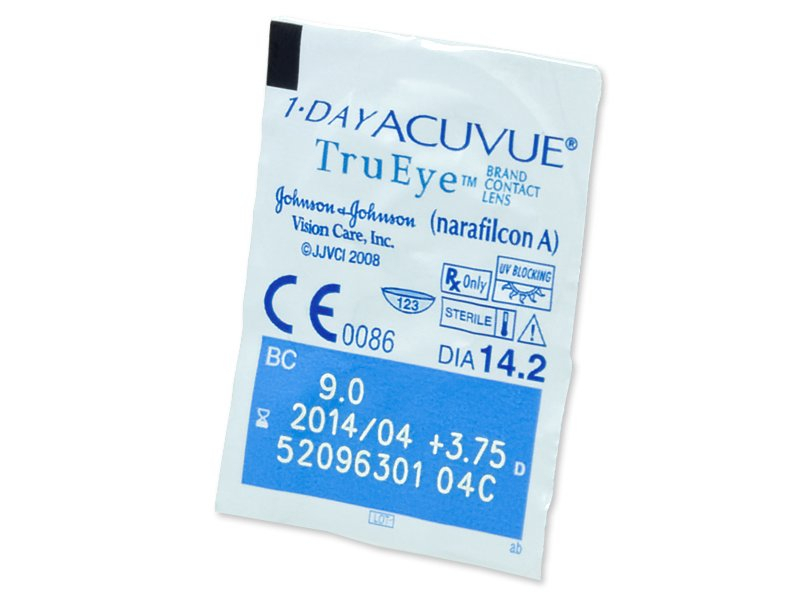 They are made from Narafilcon material that provides high oxygen permeability. This package contains 180 lenses. Spendy, but worth it. 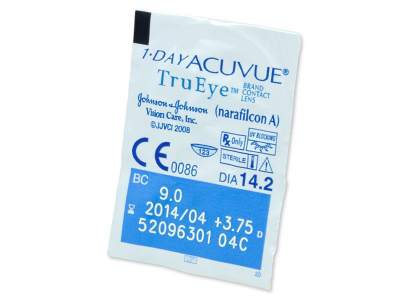 by far the most comfortable contacts I've worn in the last 10 or so years. Hello, both lenses are excellent and widely used. 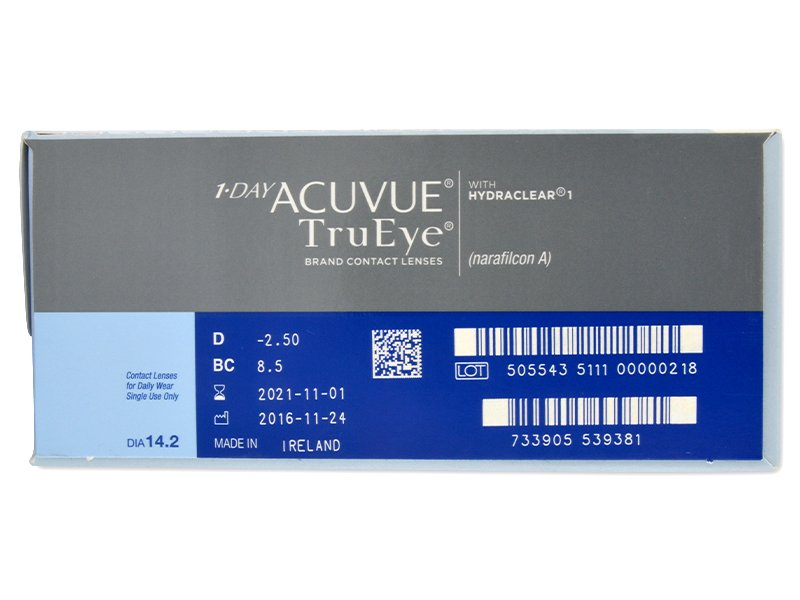 TruEye lenses have a significantly higher level of oxygen permeability. 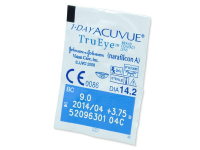 We recommend consulting your optician to find out if this is a feature that would benefit you. If you have further questions, feel free to write to us.